As far as I can see the Perfmon utility in Windows 8 is much the same as its predecessor. 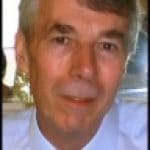 Where did it all go wrong with Windows computer performance? Every new Microsoft operating system promised better performance than its predecessor. If this were true then Windows 8 should boot in about 10 seconds. In addition, nobody can explain to my satisfaction why Windows 3.11 could 'find files' faster than Windows 8. As for shutting down faster, I think salesmen flogging this horse have missed the point, who cares if it takes 90 seconds rather than 60 seconds to shutdown? And for once I have to concur with my friend ‘Mad’ Mick, time rebooting Unix / Linux operating systems is not a factor because you can do everything without a restart, why could it not be the same for Windows updates? Now that I have got that rant off my chest, let us focus on improvements from Windows 7 (and Vista) to Windows 8. I like the ability to delay non-urgent programs on startup. At present I use Startup Delayer, but I have heard a rumour that Windows 8 will provide this facility. There is enjoyment from configuring a task which really makes a difference in speed and operating system behaviour. Here is a diversion to look at a PowerShell script to show the order which programs launch. Note 1: See more on PowerShell's Get-Process. 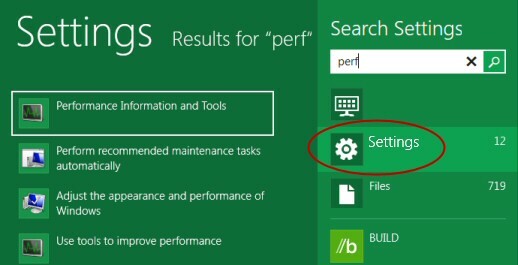 Launching Perfmon in Windows 8 is not a trivial task. The new Metro-style UI tricked me; when I pressed ‘p’ for performance, no icon appeared. However, as soon as I clicked on Settings, there was the Performance Information and Tools. While you could try the Control Panel, even there the Performance Monitor is hidden away at the bottom of the System section, scroll down to Performance Information and Tools. 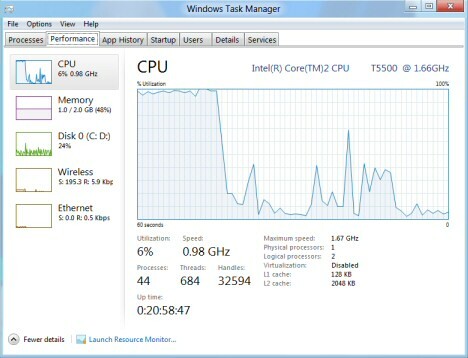 The Windows 8 Performance monitor, at least in the pre-beta 'Build' version is much like that of Windows 7. The new Windows 8 Task Manager brings better organization to the Process tab, but it’s the Performance Tab that interests me most. It’s still possible to call up the Task Manager from the keyboard with Ctrl +Shift, +Esc. With the Metro UI you can create a tile on the main screen by typing ‘t’, then pinning the Task Manager. It’s easier than ever to inspect the CPU, Memory, Disk and Network counters. 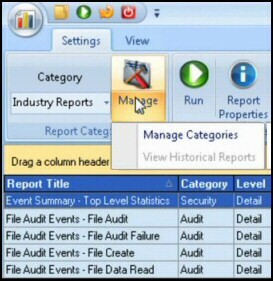 In particular the performance tab is a great place for gaining insights into processes hogging memory or CPU usage. 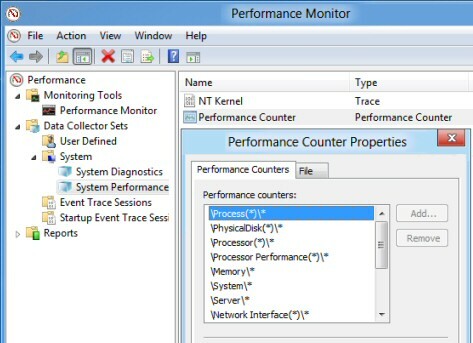 Note 2: Whereas Windows 7 had a separate Networking tab, this is now incorporated in the Windows 8 Performance tab. On the surface there is the new Start Screen, and a new Windows Explorer ribbon. However, under the covers Windows 8 has been stripped down and rebuilt for faster booting, and better performance, on both tablet and laptop computers.